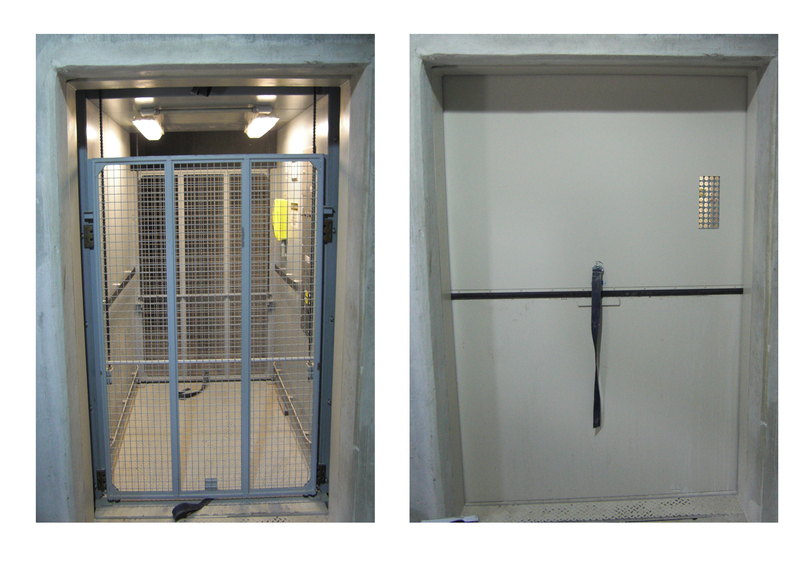 Freight Elevator Doors – Harris Companies Inc.
Freight doors are the vertical bi-parting type with the top half going up and the bottom half going down. Each half counter-balances the other. These doors are designed to operate on guides which provide a very smooth and easy to operate door system. With the door fully open, the bottom door serves as a load supporting sill that allows loads to be moved in and out of the car. The door width is normally the full width of the car interior. With the unique guide operation, the manually operated doors move very easily and smoothly. Power operated landing doors and car gates are also available with the same guide operation. Labeled interlocks are provided that comply with every ambient conditions, including corrosive and explosive areas. These are not recommended for industrial areas. This type of door is used on Passenger elevators. The upper and bottom sills of the door are much too fragile to withstand the usual industrial use requirements, especially in dusty, corrosive or explosive areas.